The story involves a British family living in Sydney, Australia. The father (John Meillon) works as a geologist, and tells his teenaged daughter (Jenny Agutter) and young son (Luc Roeg, credited as Lucien John) that he’s taking them out on a picnic int the Outback. Once he’s there, he tries to shoot them. This doesn’t work, and so he then shoots himself, leaving his children abandoned in the harsh environment with no way to fend for themselves. 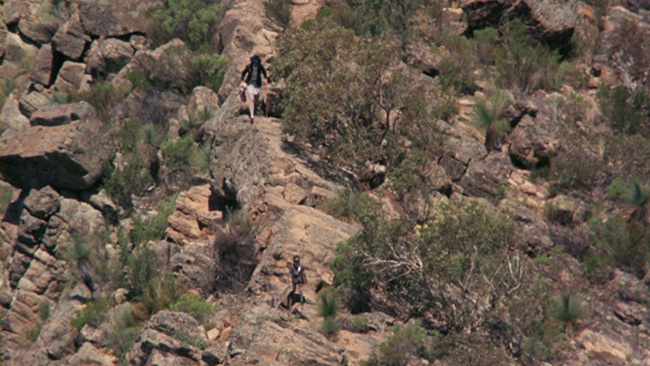 By chance, the run into an Aboriginal boy (David Gulpilil) who is on ‘walkabout’ wherein teenage boys become men by travelling the Outback alone. 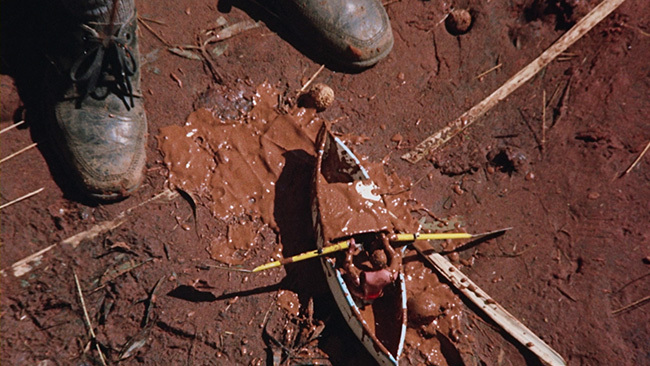 He’s able to help them find food and water, but communication issues become a problem as the film, in many ways, becomes a meditation on the differences between the natural world and modern living. A decidedly strange film, Walkabout is nevertheless seriously captivating stuff. The picture is absolutely gorgeous to look at, with Roeg’s cinematography really standing out. Even if the story were dull and the performances uninspired, this would be a picture well worth seeing thanks to the power of the visuals alone. The score from prolific composter John Barry adds to his, highlighting the more euphoric moments in the film and making its darker bits even darker. 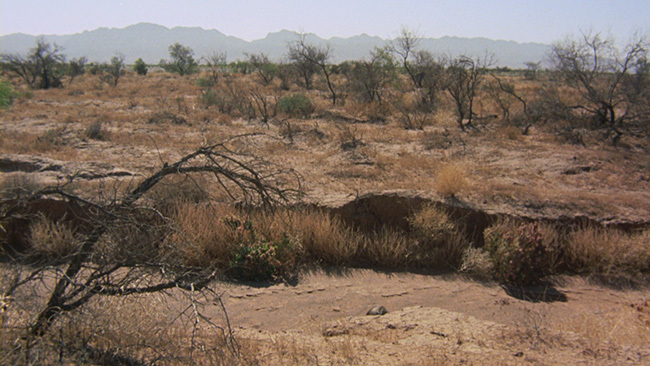 Thankfully, there’s a lot more to the film than just one beautiful Outback set piece after the next. There are some interesting metaphors at play here, with both Agutter’s character and Gulpilil’s character both simultaneously teetering on the edge of adulthood in their own very different ways. His journey is more literal, it’s a tribal ritual, while hers is more cerebral as we see her reminisce about swimming naked together and how she mulls this over in her head – not something that a child would do. It’s also interesting to see how her younger brother is able to better communicate with the Aboriginal than she is. As a six-year old, he doesn’t have the pretenses that she does, he’s able to more easily convey what they need to him and the Aboriginal better able to understand him. 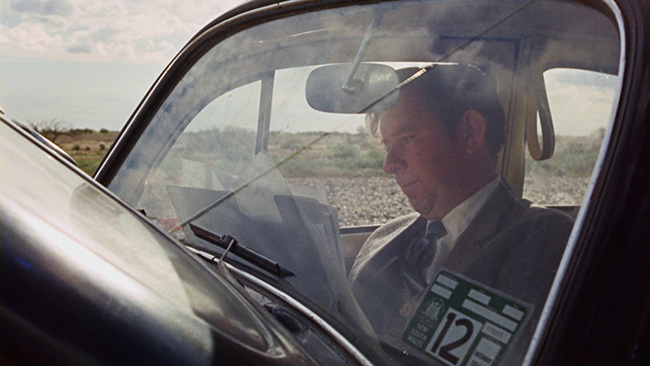 Here the film makes the case for simplicity in its way and throughout the duration of the picture we see first hand the contrast that exists between someone who quite literally lives off of the land and those more accustomed to a busier, more technologically advanced lifestyle. Performances are impressive across the board. Jenny Agutter, probably best known for her work in Logan’s Run and An American Werewolf In London, is very good here. Like the rest of the cast members, she’s believable, but just as importantly she plays her character appropriate to her age – not quite an adult but far from a kid. Luc Roeg as her much younger brother is also very good here. Being the director’s son, he was likely more comfortable in the part than another child actor would have been. David Gulpilil , who might be most recognizable to North American audiences for his role in Crocodile Dundee but who also appeared in Mad Dog Morgan, is just as good as they others. He plays his role perfectly. 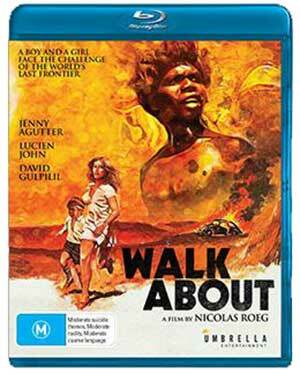 Walkabout arrives on Region B Blu-ray from Umbrella Entertainment on a 50GB disc in a 1.78.1 widescreen transfer that opens with the Janus Films logo, which would indicate that this is taken from the same source as the Criterion Blu-ray release though it does seem to be a tad darker. The feature takes up just under 29GBs of space on that disc and the transfer is in AVC encoded MPEG-4 format, presented in 1080p high definition. All of that aside, the image here is very strong. Detail looks quite nice, skin tones look fine and there’s a good amount of depth to take in here as well. The image is free of noticeable compression artifacts and shows no evidence of noise reduction or edge enhancement. Colors look really solid and black levels are strong. The English language DTS-HD 2.0 track is is fine. There are no alternate language options or subtitles of any kind provided in on the disc. Audio quality is pretty decent here. Things are a tiny bit flat but that’s’ likely due to the way that the film was recorded. Otherwise, no complaints. The levels are balanced well and the track is free of any noticeable hiss or distortion. The only extra on the disc is an audio commentary track from Roeg and Agutter, the same on that appeared on the Criterion disc. As there isn’t even a menu screen on this disc, you’ll have to access it via your remote control’s audio button. The track is quite interesting, with the pair recounting their experiences working on the film, talking about what it was like being on location, telling stories about some of the cast and crew that they worked with on the picture and exploring some of the themes and characters that it deals with. None of the other extras from that release, which included some interviews and a lengthy documentary, have been ported over to this release. 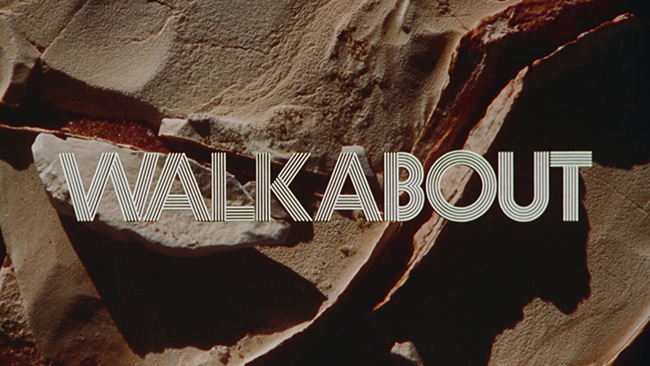 Walkabout remains a fascinating exploration of loss, cultural differences and the importance of communication shot with an eye for gorgeous compositions and ripe with interesting characters. Roeg’s film is a joy to watch and just an expertly made picture. Umbrella Entertainment’s Blu-ray is light on extras but it looks and sounds quite nice. Recommended! 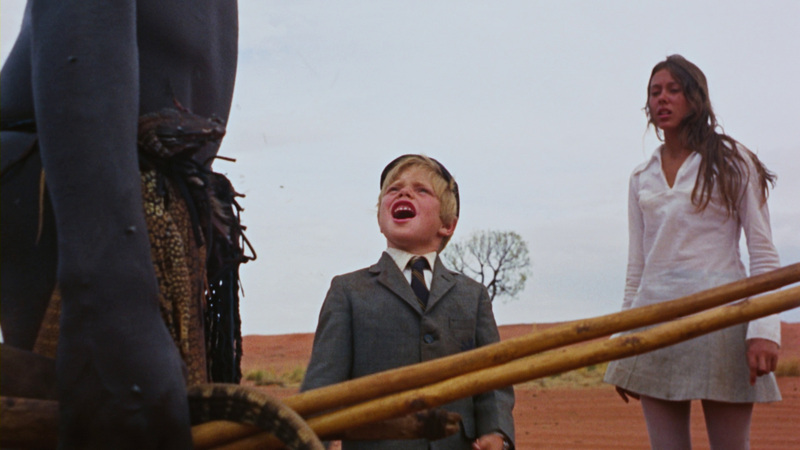 Click on the images below for full sized Walkabout Blu-ray screen caps!